This is an update of an earlier blog. 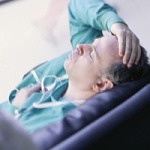 Did policies to reduce medical residents’ fatigue compromise quality of training? 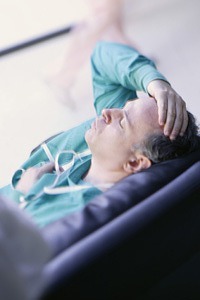 Is learning more important than risks of fatigue-induced medical errors? The debate raged as we approached a deadline of July 2011, which limited residents’ working hours to no more than 16. A doctor told me that limiting hours for residents did not prepare them for the “real” world after training was over. I would hate to be harmed, or see a person I loved harmed, by a well meaning but sleep-deprived resident. Patient safety has long been a critical concern for hospitals, in particular for those training new doctors. Since 1984, when the death of 24-year-old Libby Zion at a New York hospital was attributed to an overtired medical resident, training programs have faced restrictions on the length of work shifts for the least-experienced medical doctors. Last year, the ACGME, which oversees residency programs, issued the most restrictive guidelines to date: Residents should serve no longer than 16-hour shifts in the hospital. “Our results showed that the duty-hour limitations may not be a quick fix to an important problem,” says Mayo Clinic internist and co-author Darcy Reed, M.D., M.P.H. (http://www.mayoclinic.org/bio/12376205.html). The survey sent to directors of residency programs around the country found that many were concerned that the duty-hour limitations to be implemented by July 2011 would impinge on physician education. Of the nearly 500 respondents from the fields of surgery, internal medicine and pediatrics, 87 percent of program directors felt that the shortened shifts would interrupt the interactions between residents and hospitalized patients. “Many survey respondents expressed concern that the limits will decrease the continuity of care. As residents face more hand off of responsibilities within a 24-hour period, they have less opportunity to see and learn how patients’ care progresses,” Dr. Reed says. You don’t hear much now about the possible compromise to residents’ learning. Hospitals have adjusted to the new limits by hiring more nurse practitioners and hospitalists to provide coverage. Report making 300 % more fatigue related preventable adverse events that led to a patient’s death. The Joint Commission made several recommendations directing healthcare organizations to assess the risks of fatigue-related injuries and to take steps to create a safer culture. These directives will be increasingly important for medical malpractice attorneys as they investigate the factors that led to an injury of a patient. We know residents have to learn; that is part of the training. We know that learning medicine is challenging. But we don’t have to make them learn and function crippled by sleep deprivation. Nurse Fatigue: What are the Costs?